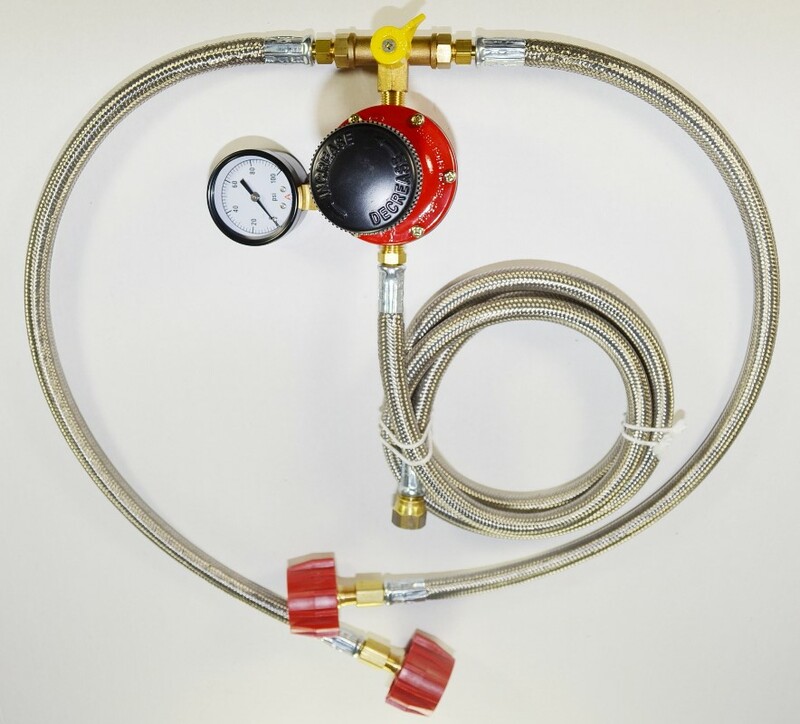 MANC - Manual Tank Changeover Valve Assembly for High Pressure with two 24" high pressure thermoplastic hoses and RED Acme Type-One wrench-less tank connectors with back flow prevention. 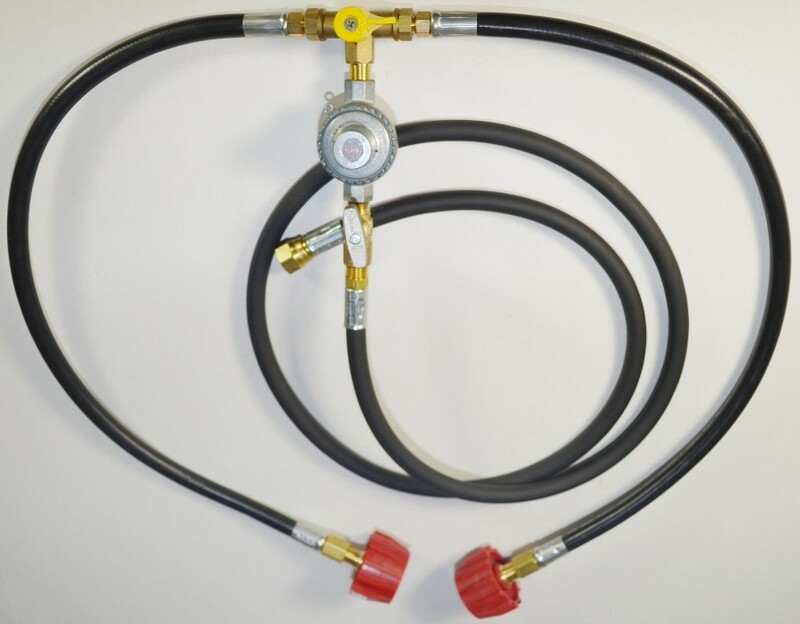 This assembly will screw into ANY high pressure or low pressure propane regulator. Valve is (2) 1/4" ID female inverted flare x 1/4" Male NPT. 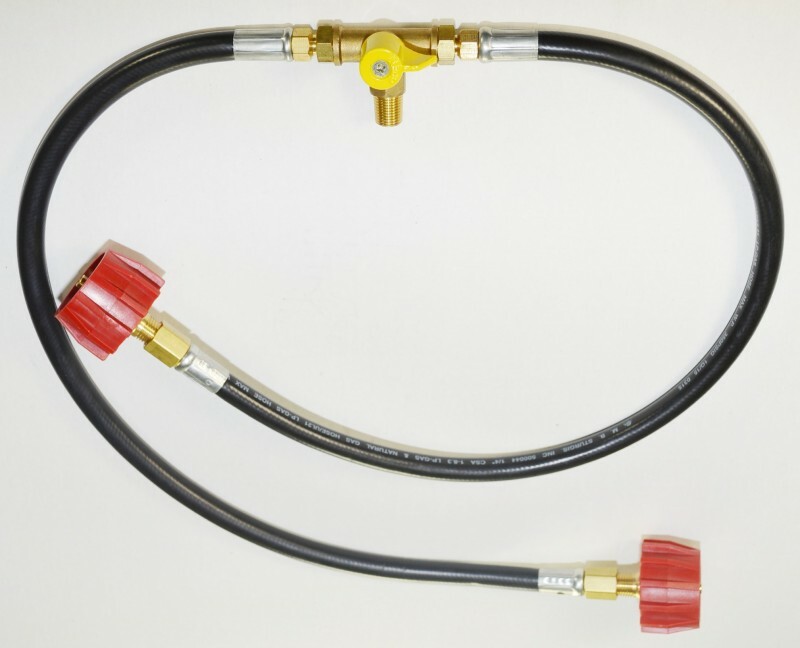 The Optional MANC-SS with two 24" high pressure thermoplastic hoses with a protective Stainless Steel Overbraid and Red Acme wrench-less tank connectors. 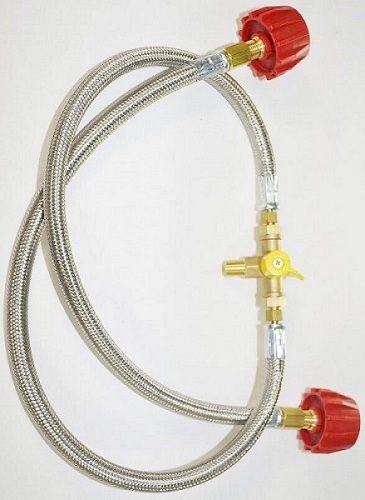 The added feature of the Stainless Steel Overbraid makes the 24" hoses very strong and almost squirrel-proof. How does a Manual Tank Changeover Valve Assembly work? The changeover valve will assemble into any high pressure or low pressure propane regulator. Using two propane tanks and one tank goes empty, just turn the yellow lever to the full tank. Close the tank valve and unscrew that Red Acme now you are free to remove the empty tank for replacement. A simple solution when running out of gas at the wrong time. We offer free shipping to 48 U.S. States. Wt. 2#.